Your opinion matters. Leave your review of ACCESS Shelter & Housing. Women may enter the shelter through referrals from other sources such as welfare or human service agencies, hospitals, law enforcement agencies, churches, or individuals--they may also enter the shelter directly through a phone intake. What is the Cost for Residents? Where is ACCESS Emergency Shelter Located? The emergency shelter is located at 230 W. Market St. Click here for directions to the ACCESS Emergency Shelter. 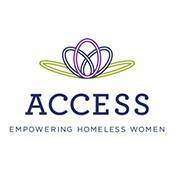 Transitional housing for homeless single women for up to 24 months. The Step II facility is located across from the Polsky Building and next to St. Bernard's Church at 245 S. High Street in downtown Akron, Ohio. Refer to the link below for a map to the facility. Do you have items to donate? Contact ACCESS Shelter & Housing at the phone number provided above to see if they can use any items you may have to donate.